USB-C is a fantastic new standard for almost everything, unless you have a crappy cable, in which case you might accidentally fry your laptop. The people behind USB-C understandably see this as a problem, so a fix is in the works. 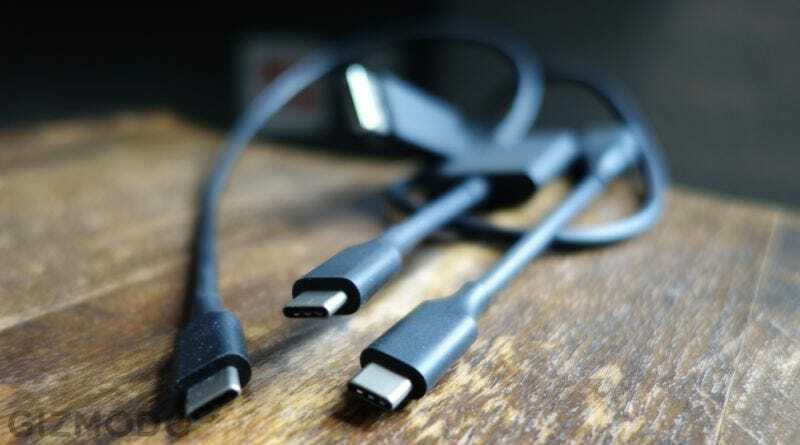 The solution is reasonably simple: when you plug in a USB-C cable that’s been verified by the USB Implementers Forum (USB-IF), it will talk to your device over an encrypted connection to confirm that it’s legit, and what sort of charging or data transfer it’s capable of. The authentication will happen before any data or power is transferred between devices, which should put a stop to poorly-made cables frying the devices they’re connected to. But it will also make life a lot more secure: computers could be set up to only accept data transfers from verified USB devices, meaning the old security trick of dropping USB sticks infected with malware won’t work. It also opens up some sketchier possibilities: at the moment, there’s a whole cottage industry of people making $3 Lightning cables for iPhones, without bothering to use Apple’s made-for-iPhone program. If devices could be configured to only accept certified cables or accessories, it’s easy to see device makers abusing the program to force everyone to buy painfully expensive own-brand dongles.